“Containers Are Not Just Small Virtual Machines; They Need New Security Strategies.” - Forrester report: Ten Basic Steps to Secure Software Containers, April 17, 2017. While the rise of the Docker runtime environment and container format has brought standardization to container environment - according to the Forrester report, 31% of enterprise cloud developers are using containers during design and testing - risks to containers are on the rise as well. In this webinar, we will go over ten security steps to secure containers. 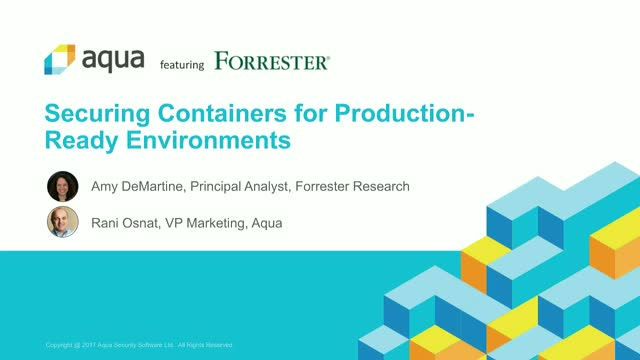 Aqua Security webinar featuring Forrester Research.